You can practice a few simple yoga poses to find your inner balance just about anywhere; home, your desk, even your car. Kali, Digital Marketer. Runner. Yogi. 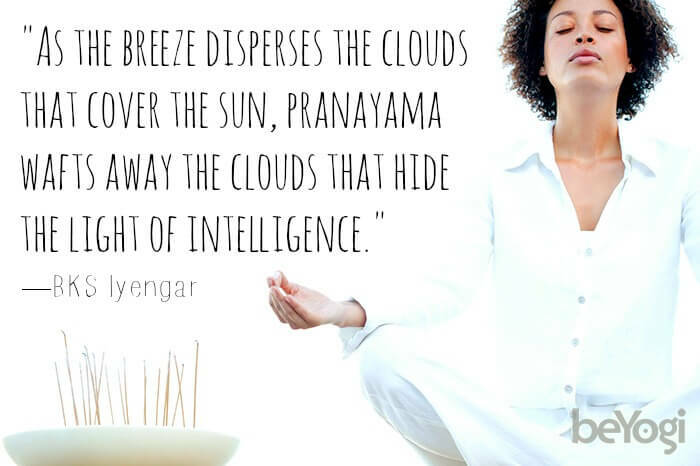 Ujjayi breathing helps to calm the mind and soothe the nervous system. Let’s face it; life today is stressful. Whether you are focused on your career, your marriage, your children, or something else, the stresses of the day can put you out of sorts. It can be tough to find time just for you to unwind. That’s where yoga can help. You don’t need to attempt to get in an hour at the gym. You can practice a few simple yoga poses to find your inner balance just about anywhere; home, your desk, even your car. Mindful Breathing: It all begins with your breath. Ujjayi breathing helps to tranquilize the mind and soothe the nervous system. Sit comfortably in any meditation posture, whether it be Sukhasana (Easy pose), Vajrasana (Thunderbolt pose), Padmasana (Lotus pose), or Siddhasana (Accomplished pose). Lift the crown of the head toward the sky to lengthen the spine and bring the chin parallel to the earth. Close the eyes. Rest the palms on the knees in Jnana mudra with the thumb and index fingers touching, other fingers extended. This creates a circuit that directs prana toward the brain. Take three natural breaths through the nose. Fill the belly with each inhalation and feel the belly draw toward the spine with each exhalation. Gently contract the back of the throat (the glottis) and inhale slowly through the nose. This creates a soft snoring sound in the throat. Keeping the throat contracted, exhale slowly through the nose. Each breath should be long, deep, and practiced with awareness. When first learning Ujjayi, the breath is usually quite audible. With practice, it becomes so subtle that it’s only audible to the practitioner themselves. Practice Ujjayi for 3-5 minutes, concentrating on the sound of the breath. End on an exhalation and return to natural breathing. Lie on your back with your arms next to your body, palms facing down. Bend your knees and place your feet near your sitting bones, hip-distance wide. Inhale and lift your hips high. Make sure your knees are aligned over your ankles. Interlace your fingers on the floor and tuck your shoulders underneath you. Draw your hands toward your feet. Stay in the pose for several breaths, then release hands, and exhale to lower. Begin sitting on your heels in Thunderbolt pose (Vajrasana). Shift your hips to the left so that you’re sitting on the floor to the left of your feet. Cross your right foot just outside of your left knee. Keep the foot flat on the floor. Bring your right hand to the floor a few inches behind you. Lightly push your hand into the ground to straighten your spine. Inhale and reach your left hand toward the sky. Exhale and bend your left arm, using your elbow like a lever against your right knee. Gaze over your right shoulder. Stay in the pose for several breaths. Inhale and untwist, then change sides. Mountain pose may look like you are just standing, but you are doing far more. Sitting at work all day can be detrimental to your health. At least once an hour stand at your desk and engage in a basic mountain pose to fight the rounding of your shoulders, the stress in your neck and the gravity pains in your waist. It is always best to remove your shoes if you are able. Ground through your feet. Spread all 10 toes and find equal weight in the four corners of your feet: the ball mound of the big toe, the ball mound of the little toe, the outer heel, and the inner heel. Firm your quadriceps and slightly rotate the inner thighs backward. To engage your core, lengthen your tailbone and draw your pubic bone up, as your draw your hip points in toward your navel. Breathe into your back body and lift your sternum. Lift through the crown of your head and soften your gaze. These basic yoga poses are a great way to take a few minutes and help find inner balance throughout your day. As you feel the benefits of these basic poses, you may decide to begin a more formal yoga practice. After all, you can’t be your best for everyone else if you aren’t your best for yourself. Kali is an Assistant Digital Content Editor at beYogi.com. During the day she creates digital strategies for beYogi, is an avid runner and passionate yogi. Living a healthy and active lifestyle is something that is very important to her. She hopes to spread her passion and inspire others with her words.